Coinciding with the announcement of Android 4.1 Jelly Bean, Android developers can now pull down a new revision of Android's SDK tools – revision 20, along with a new version of the ADT Plugin, also r20 (which Eclipse users will need to use SDK r20). Added automatic ProGuard support for the aapt -G flag. This change causes the build system to generate a temporary ProGuard keep-rules file containing classes that are referenced from XML files (such as custom views) and pass this to ProGuard at shrink-time. This can make the resulting APK much smaller when using just a small portion of a large library project (such as the Android Support library), since the catch-all rules to keep all custom views from the default ProGuard configuration file have also been removed. The ADT Plugin also brings myriad improvements, from Application Templates to Performance, Tracer, and Lint to Layout Editor, Build System and more. 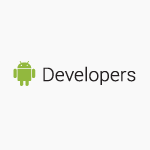 More information can be found on the respective Android Developer pages for the SDK Tools and ADT Plugin. To grab the updates, just fire up Eclipse and your SDK manager.